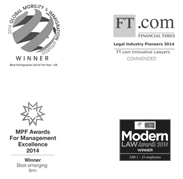 Richmond Chambers LLP is a multi-award winning, innovative partnership of specialist immigration barristers and other immigration law professionals. Based in the heart of Covent Garden, our immigration barristers provide expert legal advice and representation, directly to individuals and businesses, in relation to all aspects of UK immigration law. We provide a working environment where our team members are supported, motivated and developed, both personally and professionally. Our working culture is inclusive and collaborative and we offer a range of learning initiatives designed to ensure that our team members have the support they need to progress. We are currently seeking an enthusiastic and highly motivated Chinese Mandarin speaking Immigration Consultant / Immigration Associate to join our successful private client immigration team. Your primary role will be to assist our high net worth Chinese clients with their Tier 1 (Investor) and Tier 1 (Entrepreneur) applications (entry clearance, extension of stay and settlement). However, there will also be opportunities to work on applications, appeals and judicial reviews involving the full range of personal and business immigration law, including Tier 2 and Sponsor Licensing, Appendix FM, non-PBS work routes, EU law, nationality and human rights. You will be expected to keep up-to-date with changes to immigration law and policy and to support the partners with China focussed business development and marketing activities. This role will develop and challenge you, providing you with a wealth of hands-on experience working along some of the UK’s leading immigration barristers in an innovative immigration law firm. To apply, please send a copy of your CV and a covering letter to our Practice Manager, Christy Irvine at christy.irvine@richmondchambers.com, by 4pm on 18 May 2018. Early applications are encouraged as applicants who meet our selection criteria may be interviewed before the closing date.